In "American Dreams in China", Cheng Dongqing is giving a lecture in an abandoned factory in Beijing . Snow falls through the damaged roof and a power cut sends students reaching for their flashlights. The movie , about how young Chinese in the 1990s tried every means to learn English so they could study overseas, is part of a boom in domestic productions that is outpacing foreign film s at the box office in China. Revenues remain far smaller than in North America , but China looks set for another record year as screens are added rapidly, cinema s expand into more cities and themes switch from martial arts to depictions of ordinary people. "The past half year has seen the Chinese audience identify with and feel proud of their own lives," Peter Chan, the director of "American Dreams in China", said in a recent newspaper interview. "They want to watch their own lives in the cinema, watch realistic themes." Based on real stories from Yu Minhong, founder of New York-listed New Oriental Education & Technology Group Inc, and his partners, "American Dreams in China" raked in more than 100 million yuan ($16 million) in its first three days. The fifth-highest-grossing film in China this year, it has helped total box office sales reach nearly 11 billion yuan ($1.8 billion) in the first six months , according to the government agency that tracks all forms of media. 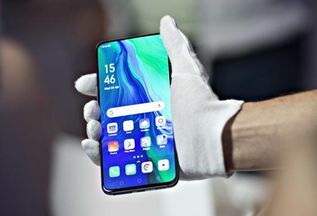 "This is a big boost to the market and it set the tone for the year-round revenue to exceed 20 billion yuan," said Kady Yang, senior analyst at entertainment consulting firm EntGroup. If China hits that full-year mark, equal to $3.3 billion, it would eclipse the official tally of $2.8 billion in 2012. That lags North American revenues of $10.8 billion last year, but PricewaterhouseCoopers, a consultancy, sees China narrowing the gap quickly. It predicts the box office in the world's most populous nation will grow at a year-on-year rate of 15.6 percent over the next five years and hit $5.5 billion by 2017. In January to June, domestic films outperformed imported ones by 65 percent at the Chinese box office. That was a huge reversal from the same period last year, when proceeds from imported films almost doubled those of domestic productions.